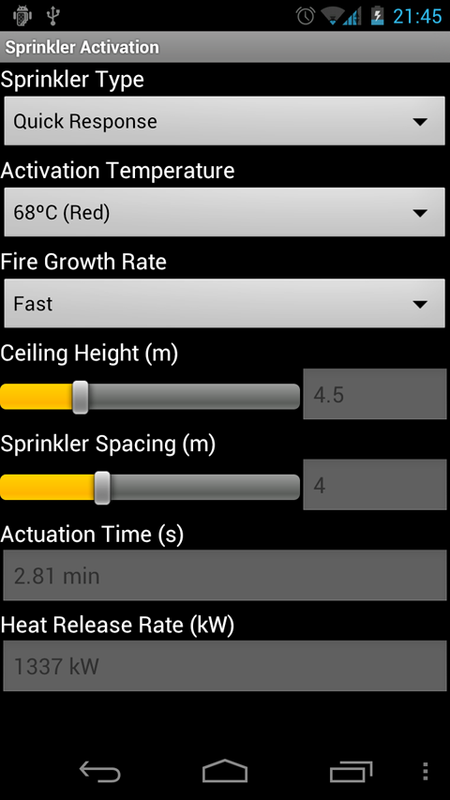 Visit eurisko, the brand new fire safety consultancy firm for your international projects in Spain and Latin America, directed by Luis Molinelli. 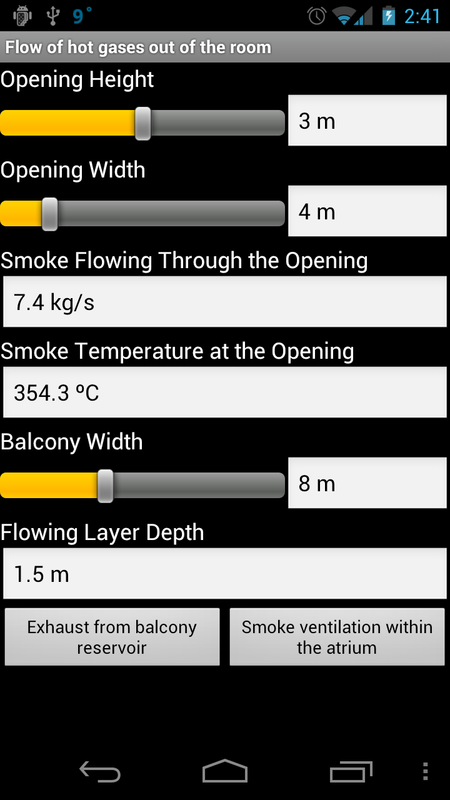 Smoke Control Design Tool based on BRE Report 368 "Design methodologies for smoke and heat exhaust ventilation". Last update: Added flow of hot gases out of the room. 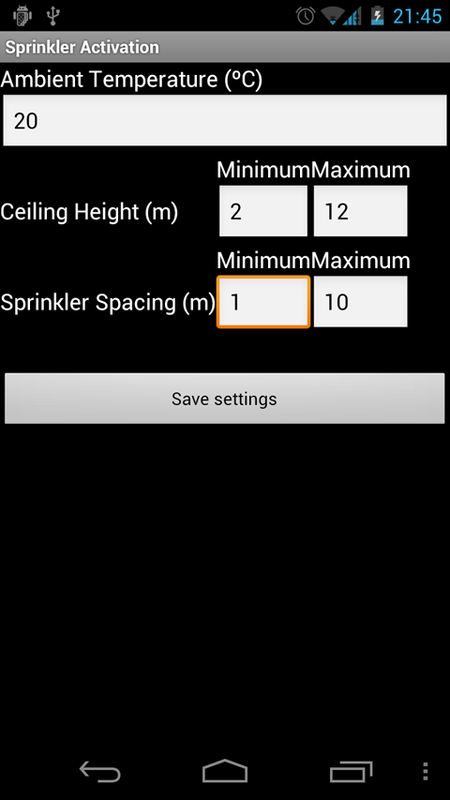 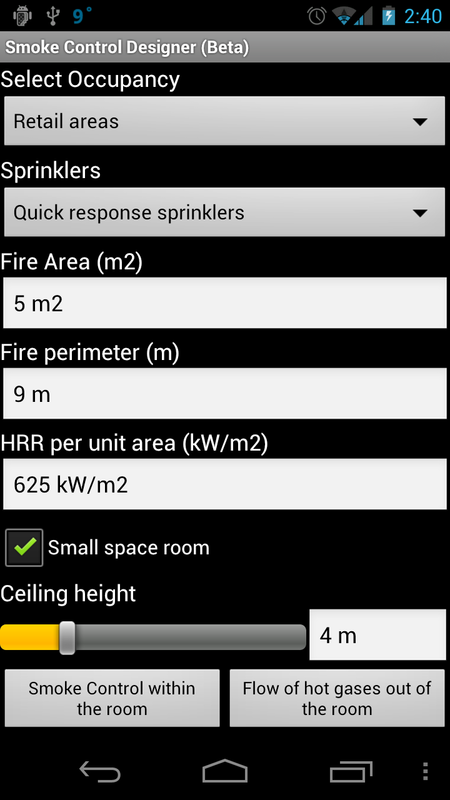 Fire Engineering Tool for calculating the activation time of sprinkler heads below unconfined ceilings, based on DETACT-T2 from NIST. 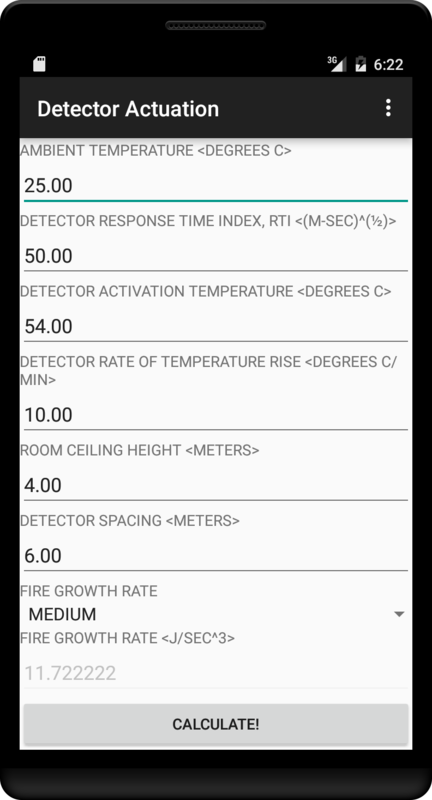 New features include a bulk utility to change the colors of the simulation captures. 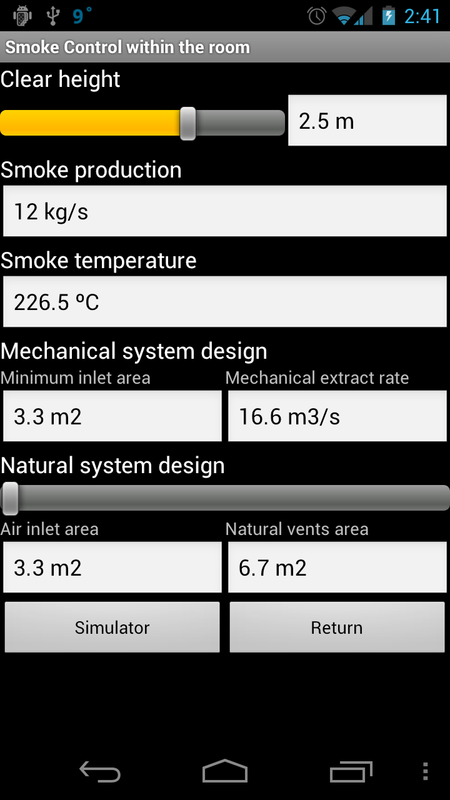 Añadida una sencilla herramienta para comparar los requisitos de control de humos en aparcamientos conforme a UNE 23585 y DB-SI/DB-HS3. 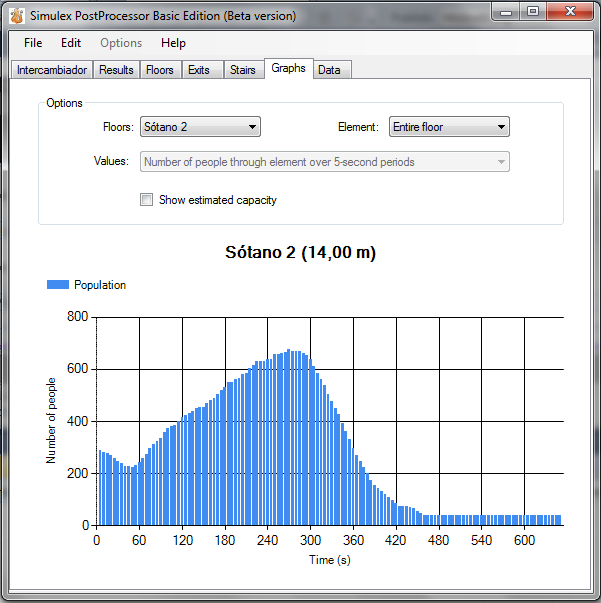 Simulex Post-Processor is a third-party tool to process TXT result files from IES Simulex.